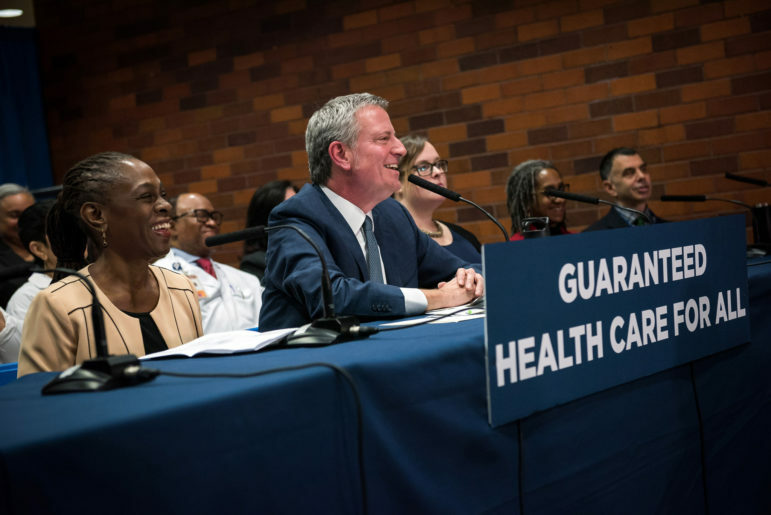 The mayor unveiling his NYC Care program on Tuesday. Legend has it that the September 11, 2001 terrorist attacks rescued Rudy Giuliani from the political wilderness to which he’d been condemned after his public dissing of the mother of his children and his cruel treatment of Patrick Dorismond, the victim of a police killing. In fact, Giuliani had a 51 percent approval rating by July 2001. The point is, mayors can recover from disaster, even when a media narrative says they cannot.